The bungalows have so many charming features. 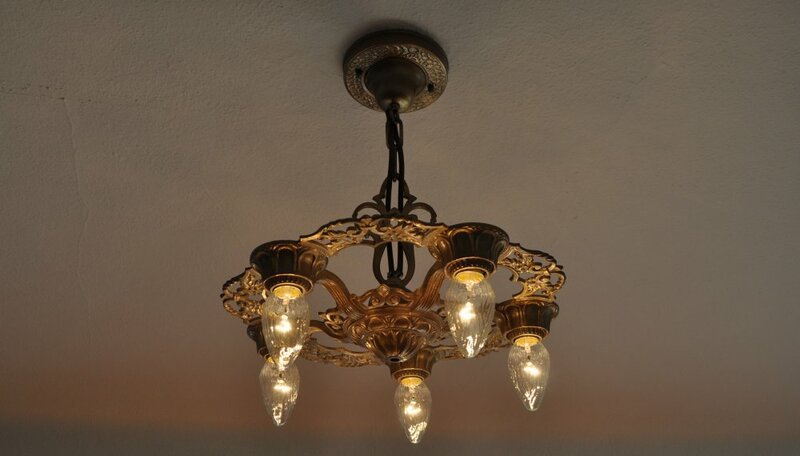 Beautiful light fixtures adorn each one. 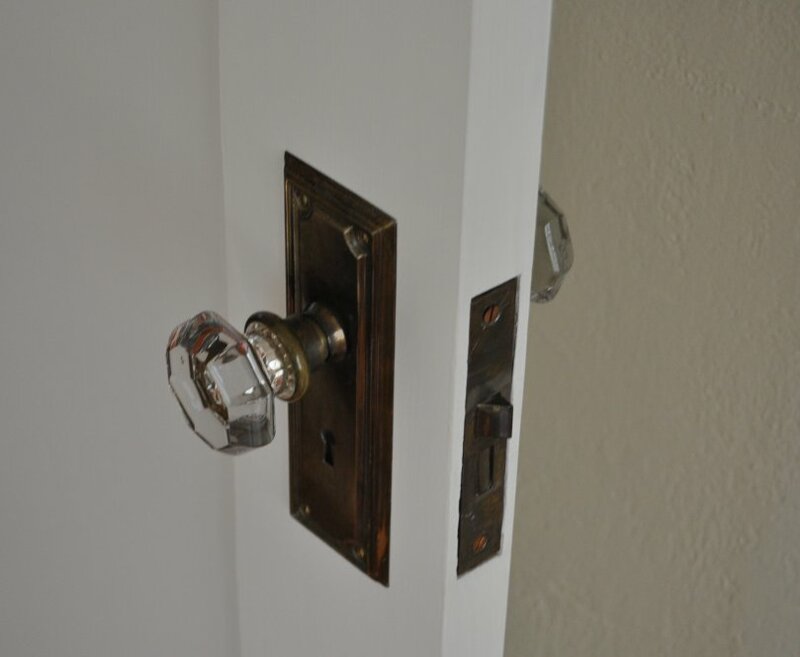 Fancy brass escutcheons and glass door knobs were used on the doors. Mortise locks were the standard for the time. 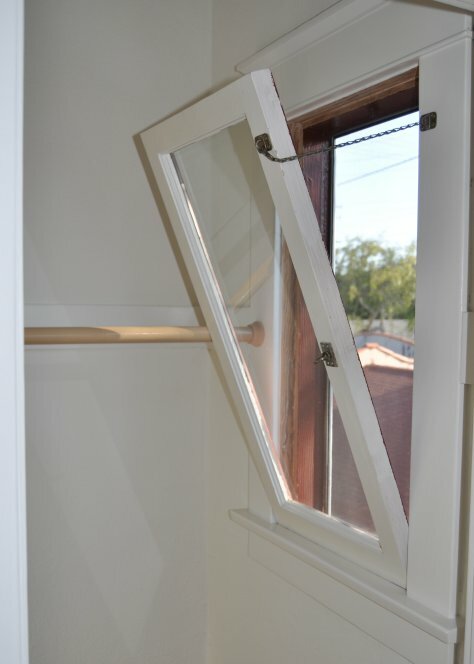 Each bungalow had loads of windows—even the closets had a simple tip-in windows to capture the ocean breezes.